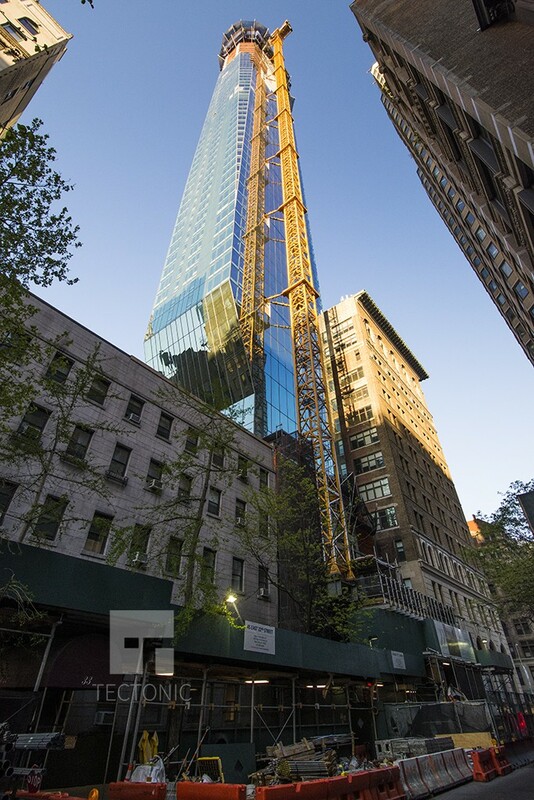 Designed by Kohn Pedersen Fox, the building now reaches 777 feet into the air. 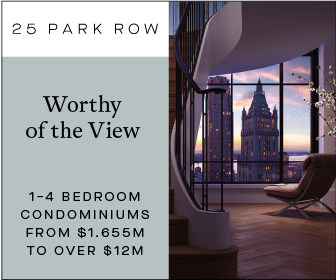 For now, that makes it the tallest building in the Flatiron District. 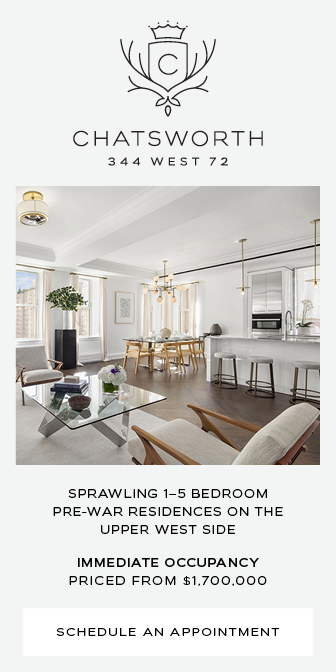 It’ll hold only 83 apartments, which hit the market in 2014 starting at $2,500,000 for a one-bedroom. The design is meant to evoke a champagne flute. The engineering was a challenge because the top is 105 feet wide, but the base measures only 75 feet. 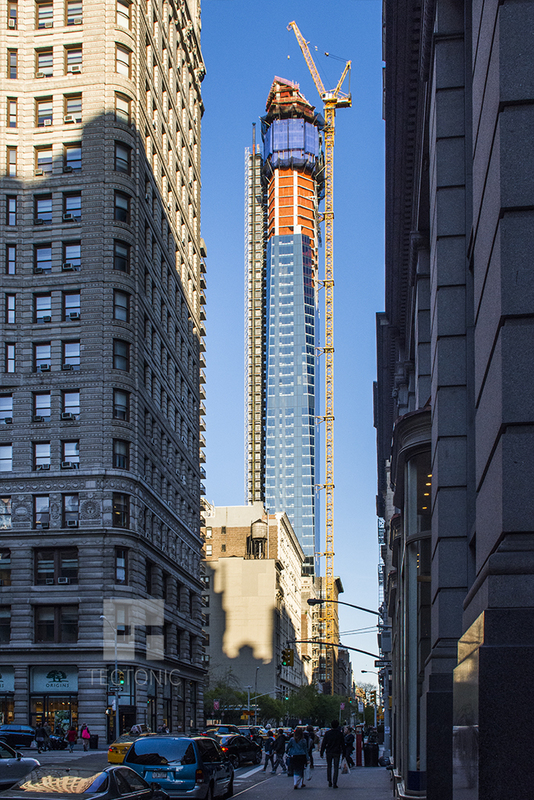 The dramatic difference helps explain why the building cantilevers over one of its low-slung neighbors, a five-story apartment building. 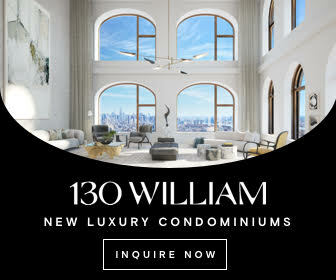 Developer Bruce Eichner also chose to clad the base in granite, rather than glass, in an attempt to match the project’s turn-of-the-century neighbors. 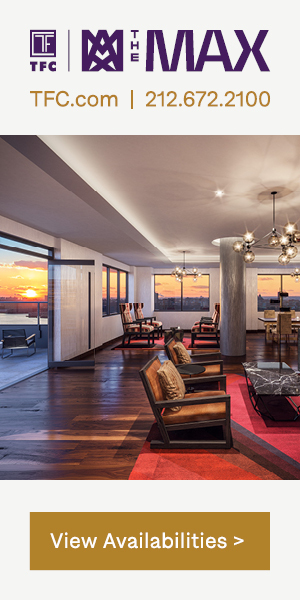 The development spans 372,000 square feet and includes 18 underground parking spaces. 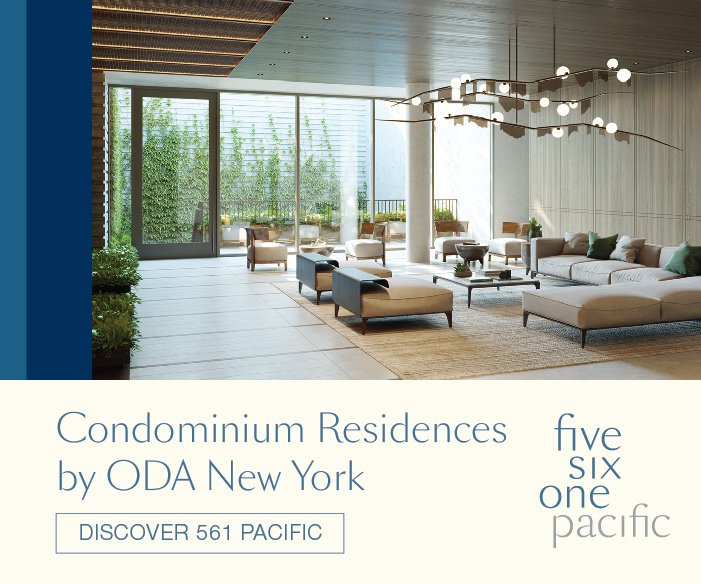 Condo dwellers will have access to a slew of amenities, including a two-floor gym with a basketball court, plus library, children’s playroom, billiards room, and a landscaped shared terrace. 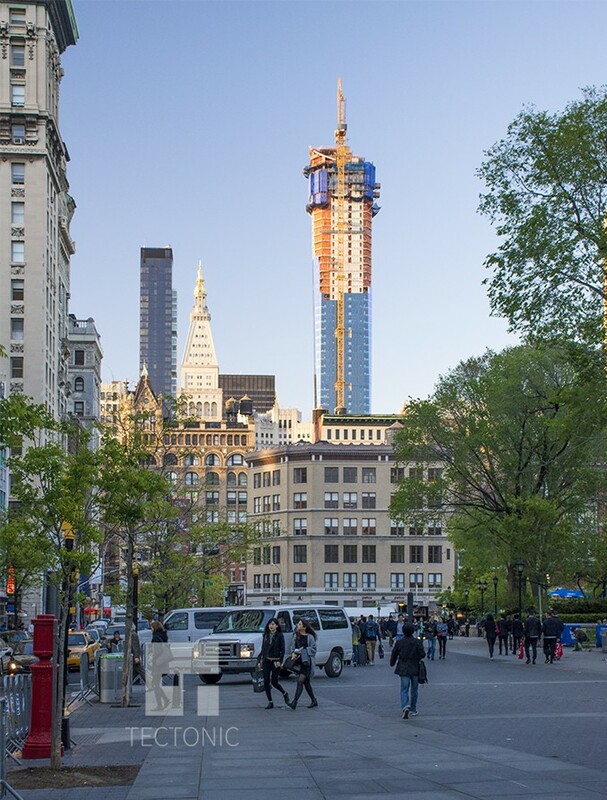 Eichner’s firm, the Continuum Company, is developing the tower. Work is expected to wrap in early 2017. 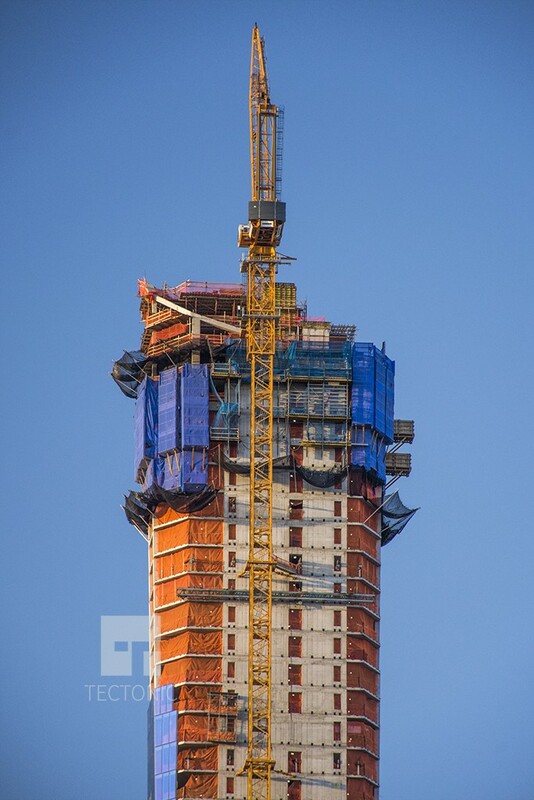 1 Comment on "45 East 22nd Street Reaches 777′ Pinnacle and Tops Out"
New star standing tall in the city, the tower showed a deep blue.